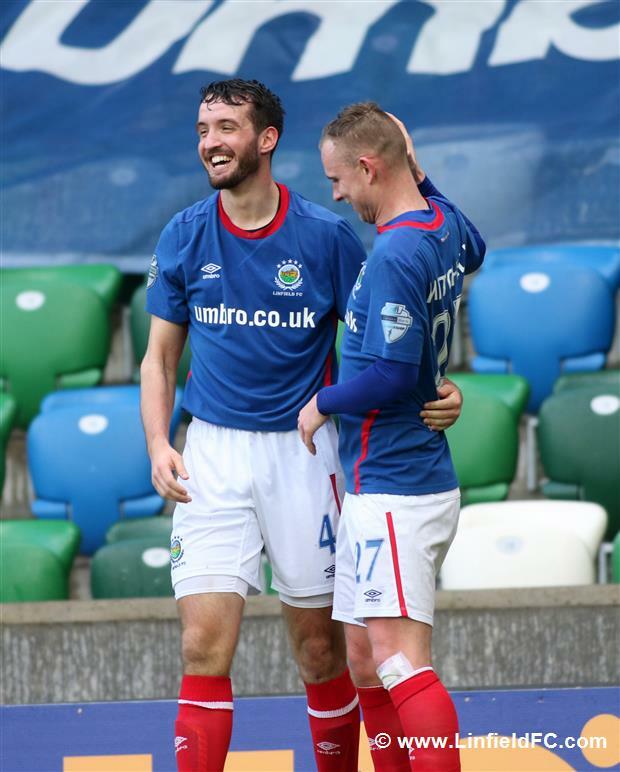 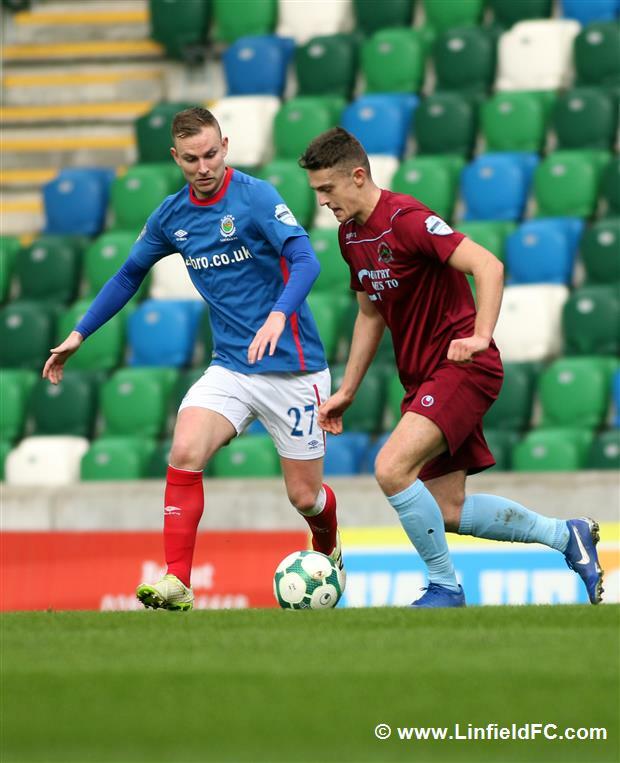 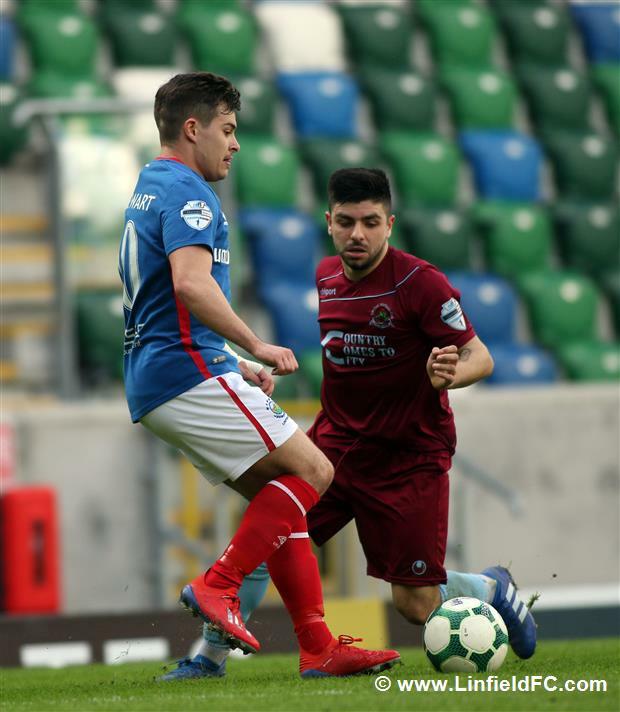 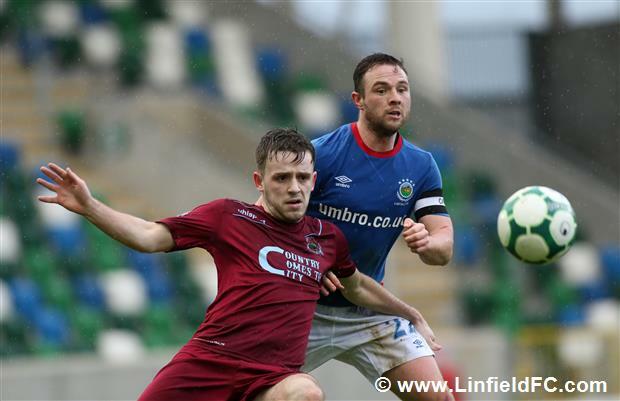 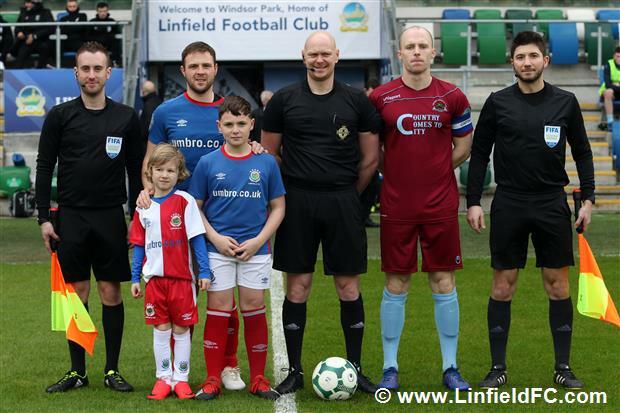 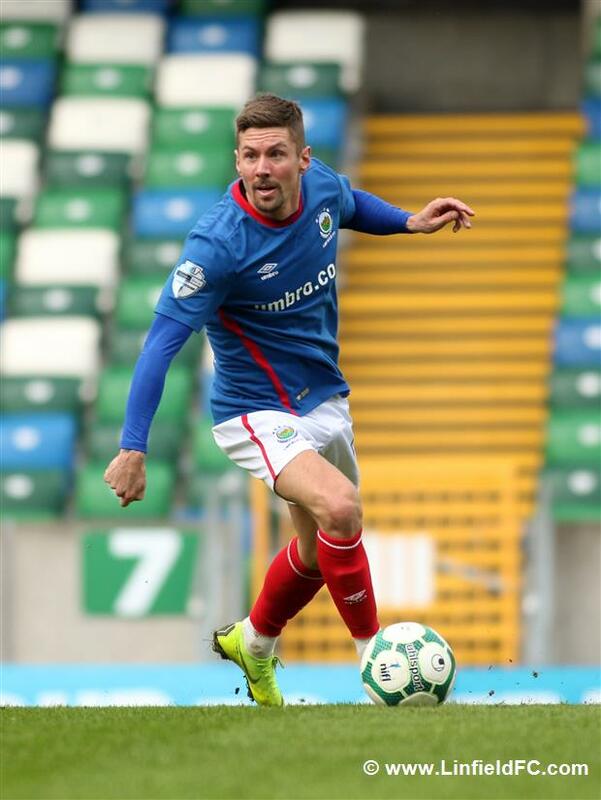 A patient Linfield team overcame a resolute Institute team at Windsor Park this afternoon to restore their nine-point lead at the top of the Danske Bank Premiership. 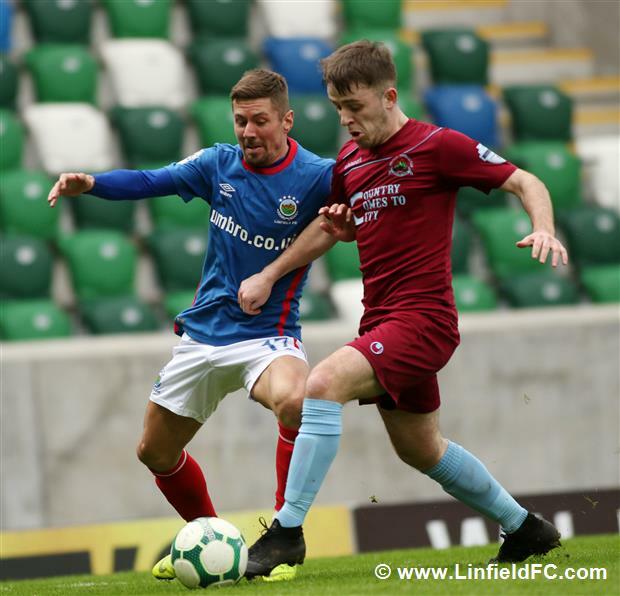 The Blues carved out an early opportunity when the returning Joel Cooper fired in a cross which wasn’t dealt with and Andy Waterworth’s turn and shot was well saved. 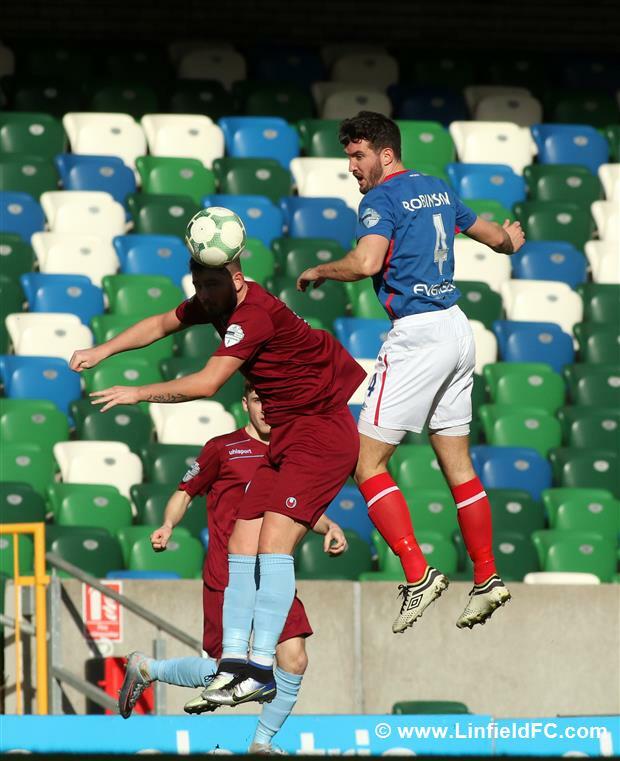 Soon after, Daniel Kearns’ low strike from the edge of the box was well held. 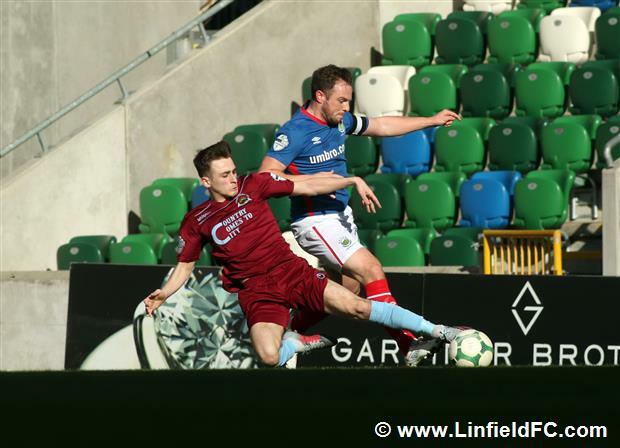 Chris Casement was involved in most of Linfield’s attacking opportunities in the first half and it was the full back who went closest to scoring in the first half with a sweetly-struck free-kick from 25 yards which cannoned back off the crossbar. 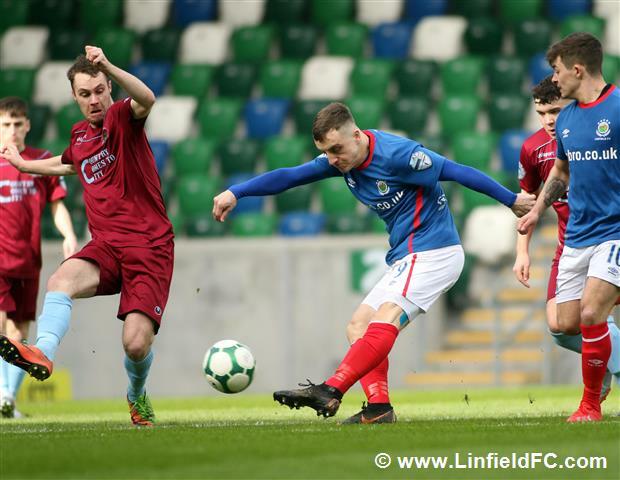 Casement went close again, this time with a header at the back post when Jordan Stewart hung a cross up to the back post but Martin Gallagher pulled off a great save in the Institute goal. 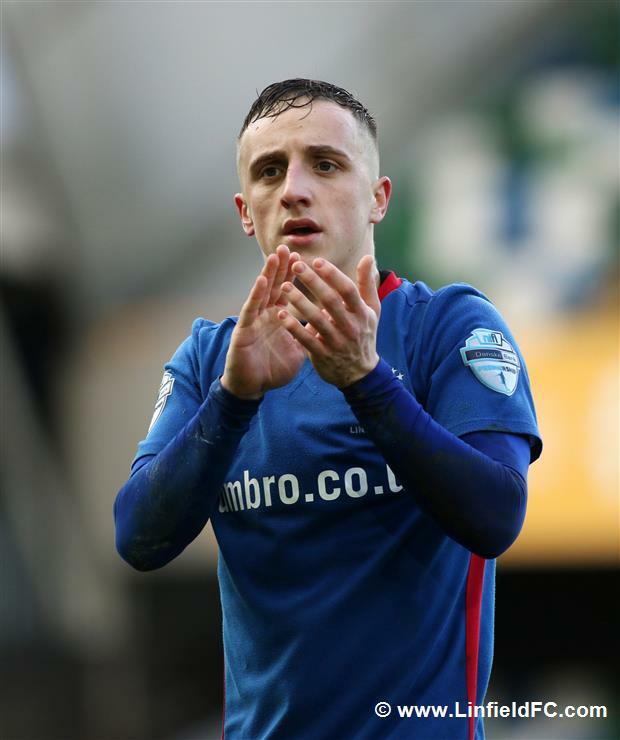 The full-back also turned provider when he fired a low cross by the face of goal and Andy Waterworth got a touch, but not enough contact to turn the ball goalwards. 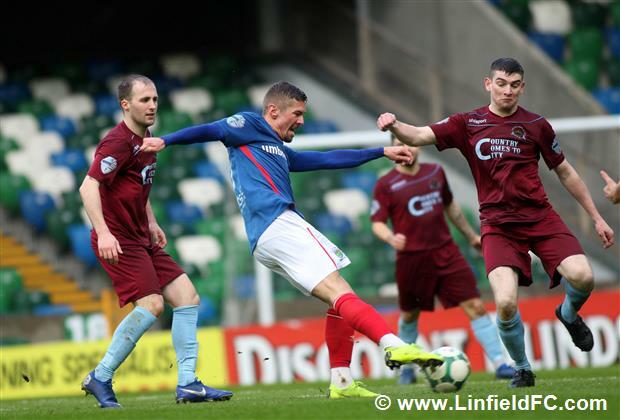 Jimmy Callacher thought he’d headed Linfield in front on 48 minutes from Niall Quinn’s free-kick delivery but the defender was flagged offside. 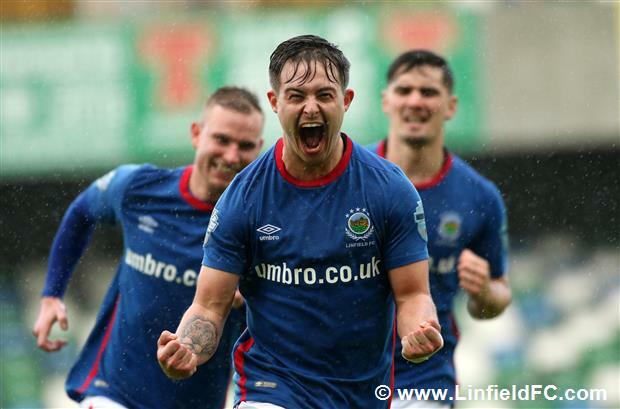 For all Linfield’s possession they almost went behind as quick thinking at a Stute set-piece sent Joe McCready down the left and the striker picked out skipper Dean Curry in the middle but he fired just wide. 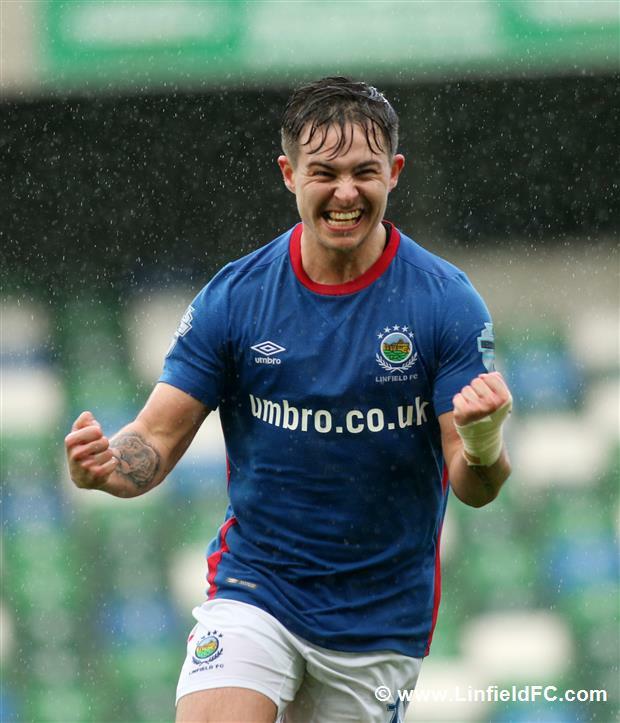 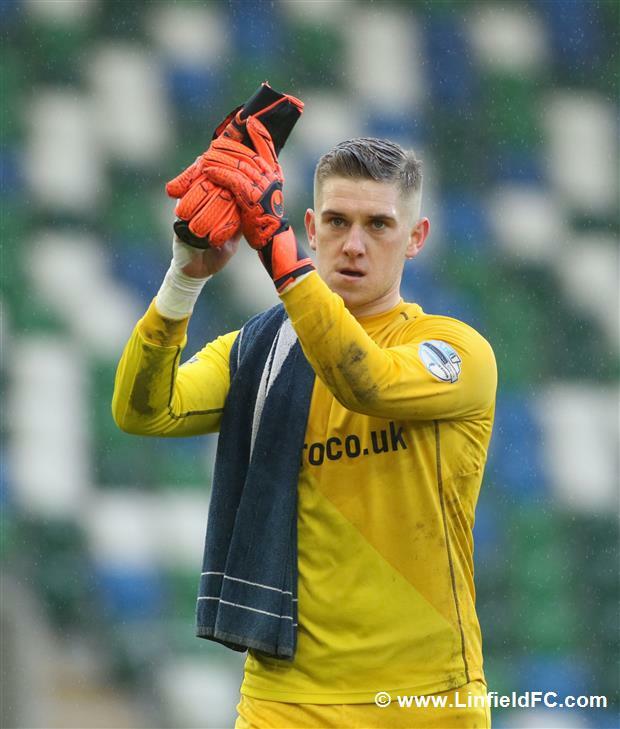 But Jordan Stewart calmed the nerves around Windsor Park on 61 minutes with a brilliant opener. 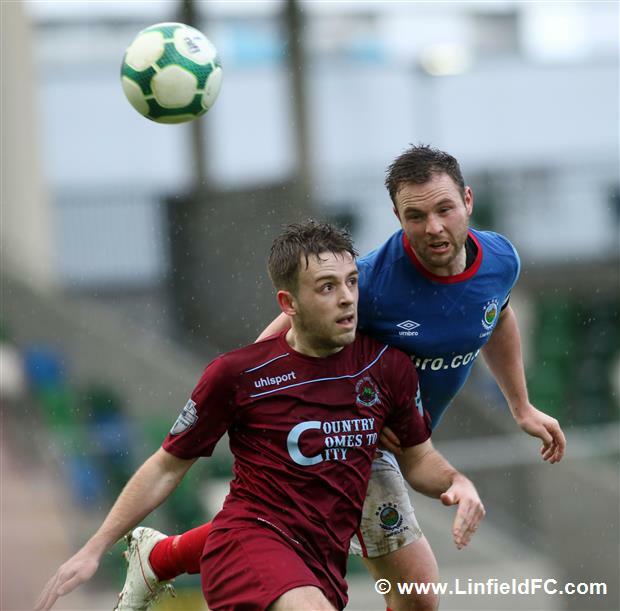 Waterworth couldn’t get a shot away in the box but the ball found its way to Stewart on the edge of the box and the attacker rifled a shot emphatically into the roof of the net. 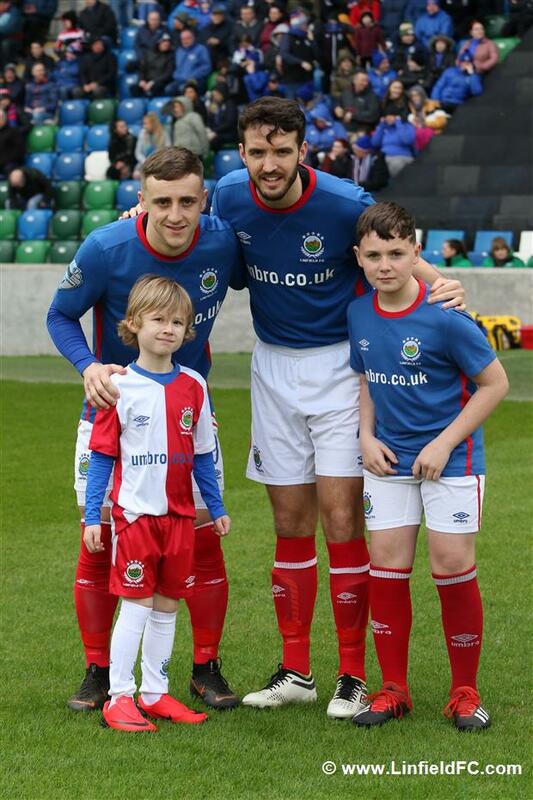 Joel Cooper, on his return from a spell on the sidelines, almost scored a corker with a cheeky chip. 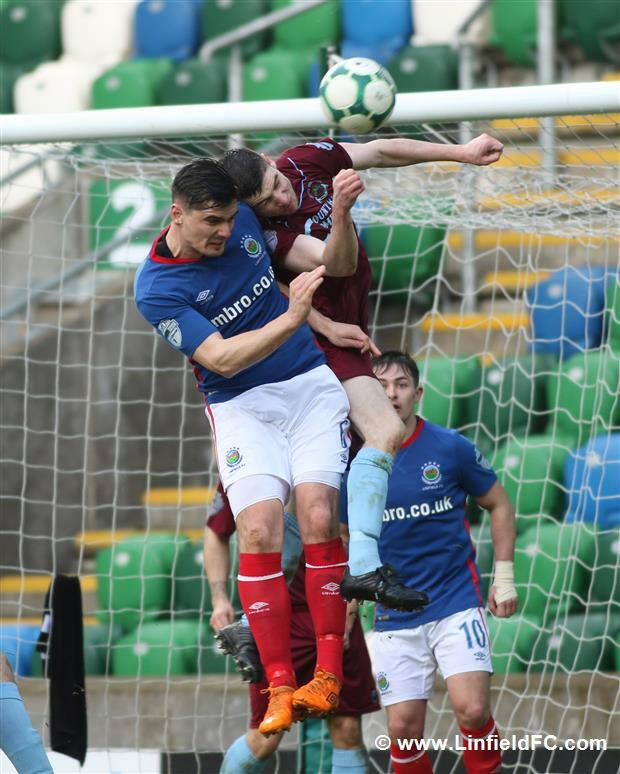 He had the goalkeeper well beaten but defender Caoimhin Bonner got back to head off the line. 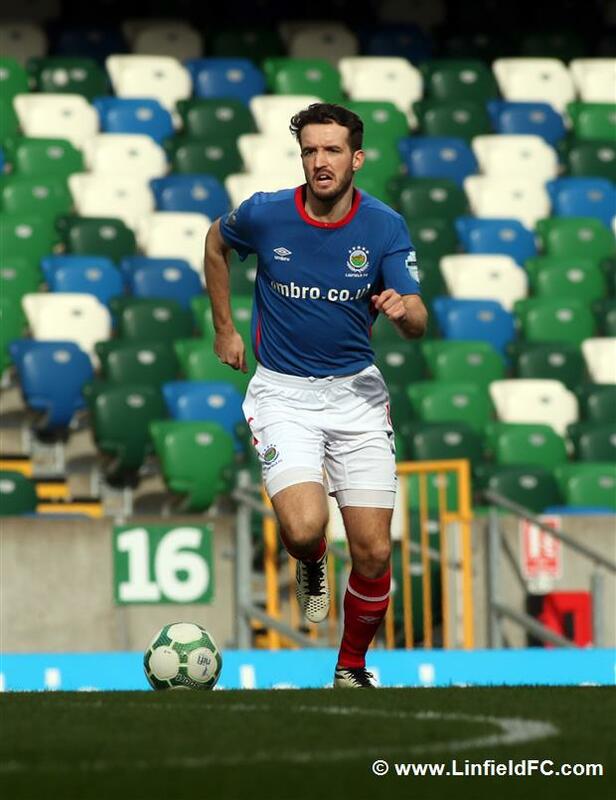 The Blues ‘doubled up’ on 66 minutes when Josh Robinson rose high to power home a header from Niall Quinn’s corner. 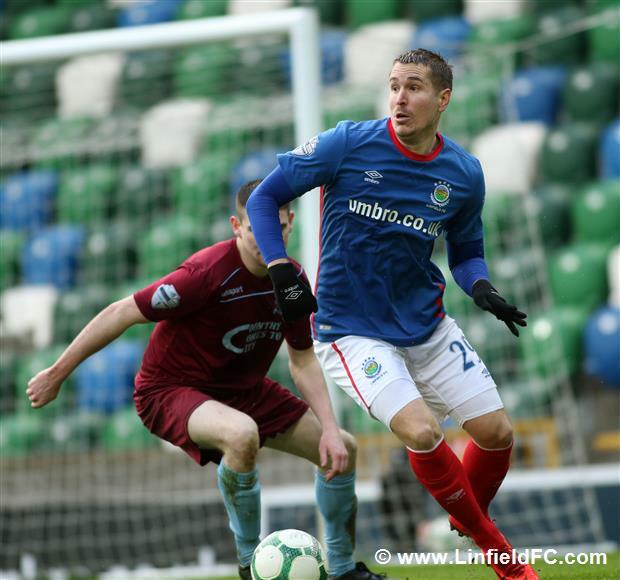 2-0 to Linfield and Robinson’s fourth goal of the season. 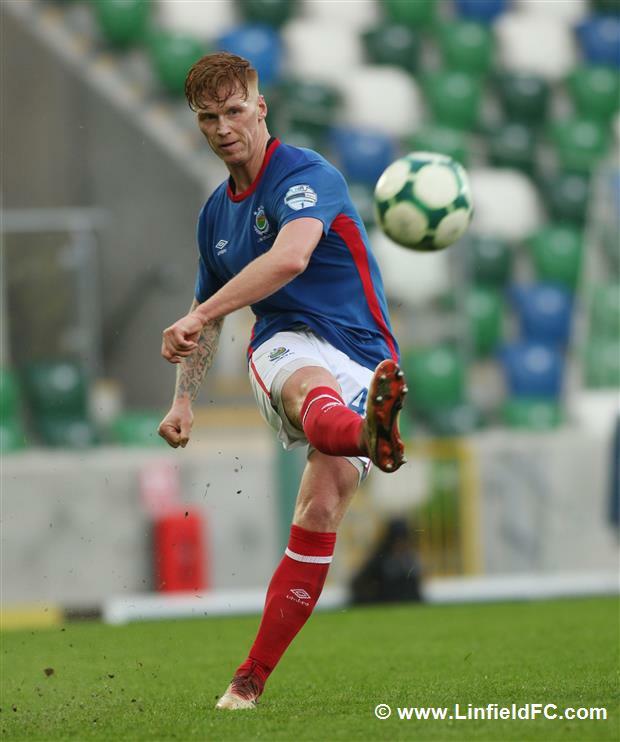 Man of the match Jordan Stewart almost provided a third when he showed good feet before poking the ball across goal but it was just behind Niall Quinn. 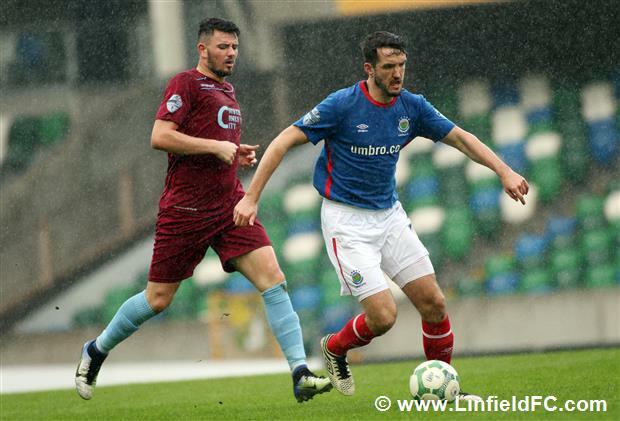 Gareth Deane was called into action for the first time in the closing stages but he got down smartly to his left to push away Paul Smith’s shot from a cut-back in bucketing rain.